Amtico has been creating excellent flooring products for over 40 years, and these new vinyl tile and vinyl plank collections are no exceptions. Amtico vinyl tile and plank match their real counterparts so well that any stone or hardwood lover will be pleased. All Amtico products are made to withstand heavy commercial traffic. Amtico Vinyl Flooring has the most diverse selection of any vinyl on the market, so each person can find a unique vinyl floor that is right for any personality. Here are some of the benefits of choosing Amtico Vinyl Flooring Products. Amtico is the right floor for anyone who loves the look and feel of real tile and hardwood without the problems that can occur when they are installed. Only the most trained flooring professionals will be able to tell the difference between Amico and the real thing. Amtico is made for high traffic areas such as hallways, businesses, restrooms, and most other high traffic commercial applications. 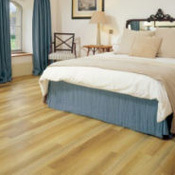 An Amtico floor means that you will have to do the minimum amount of maintenance for an excellent floor. Caring for your Amtico floor includes sweeping/mopping regularly and other general cleaning options. Amtico is available in over 4 different styles and over 100 different products so that you can find the exact floor you're looking for.